Wat T. Cluverius was captain of the USS West Virginia from June 5, 1926 to June 15, 1928. 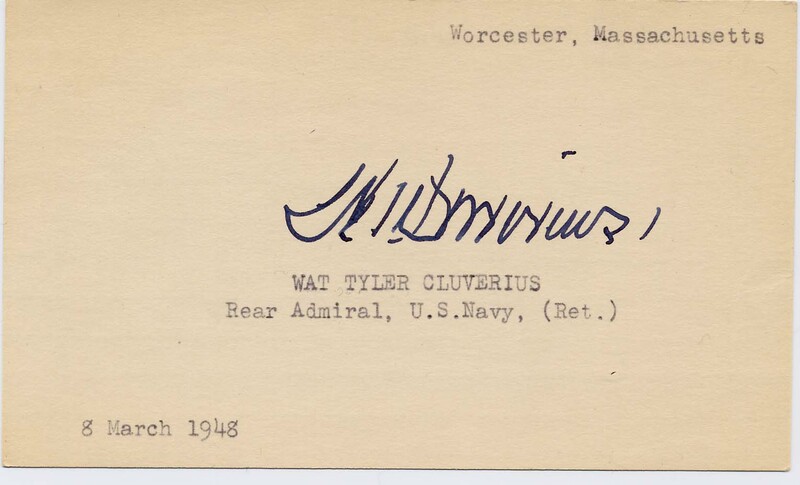 Rear Admiral Wat T. Cluverius was the commander of Battleship Division 2 aboard USS Wyoming in 1930 and served as Commanding Officer of the Fourth Naval District from 1937-1938. After retiring from the Navy in 1939, he was the president of Worcester Polytechnic Institute in Worcester, Massachusetts from 1939-1953. 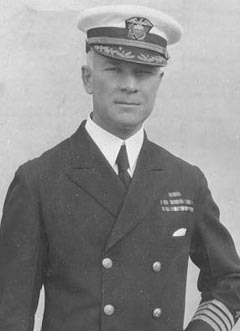 He served as Commandant of the Naval Academy from 1919-1921. He was Commander of the Norfolk Naval Shipyard from 1928-1930. He was also a survivor of the sinking of the USS Maine in Havana Harbor on February 15, 1898. This event precipitated the Spanish-American War.